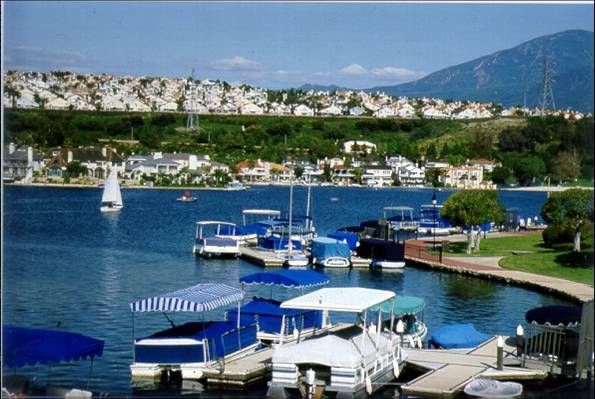 We just activated our lake pass for the summer at Lake Mission Viejo! We wanted to share our excitement about this beautiful spot and encourage locals to activate yours and join us this summer. Any homes that were built in 1978 or after within the boundaries of Lake Mission Viejo automatically come with membership! You can also contact the membership association and see if your home can be added to the association. Bring guests to enjoy the lake with you! It’s only $3 a day for each guest that you want to bring along with you to enjoy the fun in the sun! If you’re bringing kiddos under the age of 8 to play at the lake then they are free of charge, but they count towards the total number of guests you can bring for that day. Each family can bring up to 15 guests every day besides for summer weekends when 10 guests are allowed per family. You can also let your guest come along for fishing trips for just $12 a day. On Concert Days there is a $15 fee per guest, with guests limited to 4 per member household at the North Beach. Regular guest policies apply to the East Beach. Members submit a LMVA guest list and can either pre-pay or pay during check in. Guests have to check in with their member and the member has to accompany them all day, but why wouldn’t you want to spend the day with your friends at the lake? Two concerts a month for the rest of the summer are put on by LMVA! LeAnn Rimes us performed on the 7th and Gladys Knight is coming up soon, you can checkout the rest of the summer schedule here. Concerts, family fun days, movie nights and special events go on all year long at the lake! This summers calendar is packed and you’re not going to want to miss out on the fun. Another thing we want you to know about is the contest the LMVA puts on every year called “Paint The Lake.” If you’ve got some built up artistic talent that you’ve been waiting to unleash now is the time. The winner of this takes him $500! Paint the Lake is judged by any attendees of the last concert of the year. You’re allowed to submit multiple, all you have to do is bring a blank canvas or two to get stamped by Lake Mission Viejo. One of our favorite things to do on the lake is rent a boat to spend the day on! Members can rent all kinds of water fun activities from paddle boards to pontoon boats for really amazing prices. If this doesn’t make you go get your lake membership activated today, I don’t know what will!